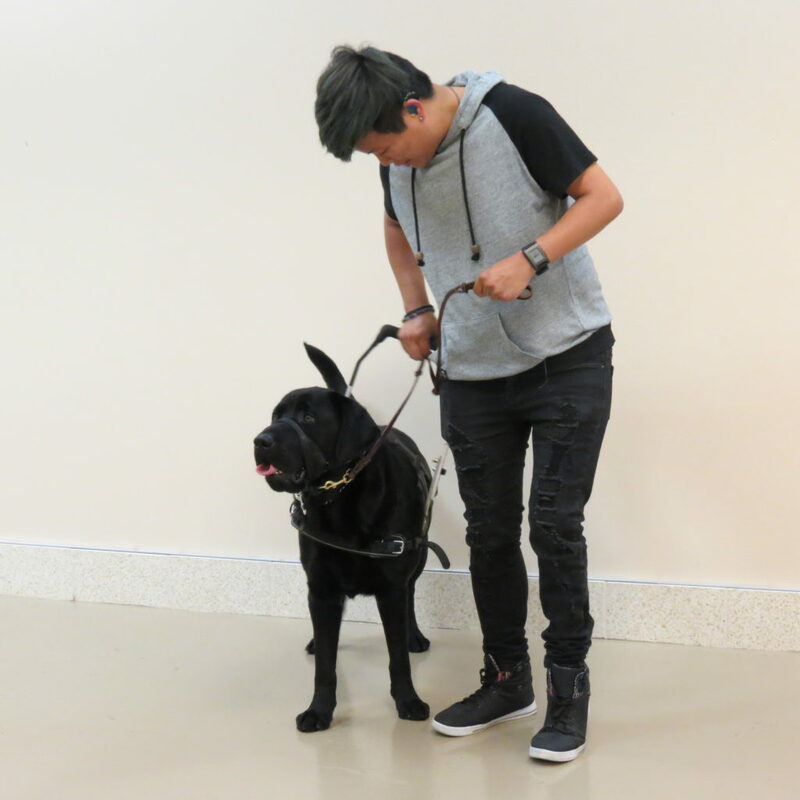 Hearing Dogs are trained and placed with someone who is Deaf or hard of hearing. The dog is trained to alert to sounds in the environment, such as a door knock, smoke alarm, alarm clock, or a name call. Duo places hearing dogs with individuals 18 years of age and older. If you are in need of a hearing dog, please fill out a prospective client inquiry form to begin the process. If you would like to help provide hearing dogs at no cost to the Deaf or hard of hearing, please consider making a gift.